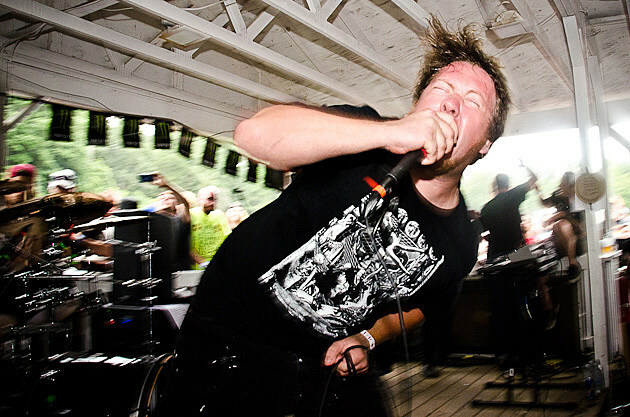 Pig Destroyer fully deserve their reputation as modern grindcore’s most vital band; this show will mark their first NYC appearance with new (and first-ever!) bassist Scott Jarvis in the lineup. They’re headlining tonight’s BV/Invisible Oranges-curated Red Bull Sound Select show which is an all-around killer bill. If you RSVP’d, it’s $3 at the door, if not it’s $10. First-come, first-served. Doors are at 6 PM. Get there early. Oh, and Dave Hill is hosting too! This is a benefit for the Philippines which is still recovering from devastating Typhoon Haiyan. Most of the bands on this bill have some ties to the country, and this is Versus’ first local show in a long while. With Sonic Youth behind him, Lee Ranaldo (and his SY bandmate Steve Shelley) have moved into poppier territories with their new project, which can recall everything from melodic indie rock to ’70s art rock. Tonight’s openers are both good too: Steve Gunn of Kurt Vile’s band and Spectre Folk who also count Steve Shelley as a member. Brooklyn DIY venue 285 Kent is sadly closing, but before it’s done for good, there’s four more epic shows going down in the Williamsburg space this month. Tonight’s the first of those, leaning mostly towards electronic music and R&B. Any guesses on who the special guests will be? The insanely prolific and always great NYC rapper Action Bronson deservedly continues to get bigger, and this week he’ll show that off with two big sold-out hometown shows. This is the second. The folks at Panache Booking are behind this weekend’s shows at BNB, and they’ve put together two good line-ups. Tonight it’s Roddy Bottum’s Imperial Teen, former Shaggs singer Dot Wiggin, and more. FREE. Omar-S had one of the better (but often overlooked) house records of 2013 with Thank You For Letting Me Be Myself, an album that eschewed the big hooks of some of the other big house albums of 2013 but focused on masterful production. Australian guitar pop combo Cloud Control have foolishly left the part of the world where it’s summer right now to experience the polar vortex and to play some of their catchy anthemic pop for the cold people of NYC. MVF are and indie rock “supergroup” made up of Elisha Wiesner (Kahoots), Bob Weston (Shellac, Volcano Suns, Mission of Burma), and Chris Brokaw (Come, Codeine, The New Year), released their first full length, Mass. Grave, this past October. This is a live taping of Liam McEneaney’s “Tell Your Friends! The Podcast!” podcast and tonight features to very angry men. When industrial pioneers Throbbing Gristle shut down operations in 1981, Chris Carter and Cosey Fanni Tutti kept working together, making icy, trance-like dance music with occasional forays into pop. Having just played MoMA PS1, Carter Tutti perform Chris & Cosey material tonight. Sold out, but they’re playing Radio Bushwick on Sunday. Fred Nicolaus is one half of Department of Eagles (the other half being Grizzly Bear’s Daniel Rossen) and on his own he makes similarly quirky folk-pop as Golden Suits. 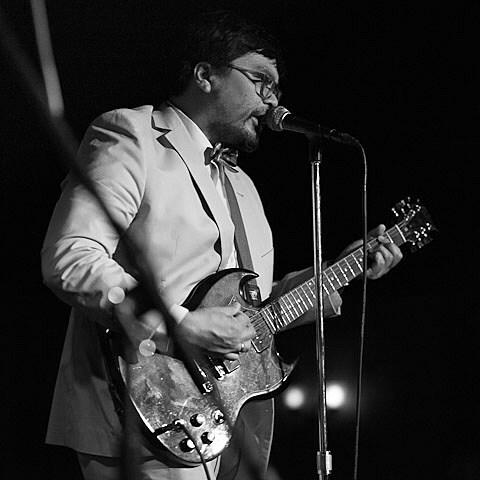 Krill mix Spencer Krug/Isaac Brock-style eccentricities with ’90s-style loud rock and their Exploding In Sound labelmates Palehound offer a noisy take on singer/songwriter indie rock. Between Clutch and The Sword, there will be no lack of big rock riffs filling Port Chester’s Capitol Theatre tonight. When Shaun Fleming isn’t drumming in Foxygen, he’s making a similar type of psych pop in his other band, Diane Coffee, who play NYC again tonight. Tonight Plymouth Church (57 Orange St in Brooklyn Heights) hosts a benefit concert for Free the Slaves, which “works on the ground with liberators around the world doing what it takes to free men, women and children and help them stay free.” It’s a great lineup (for a great cause) including Chicago soul legends The Impressions, who will be joined by members of Sharon Jones’ band The Dap-Kings, and The Dap-Kings’ Daptone labelmates Naomi Shelton & The Gospel Queens. It’s a pretty good lineup of singer/songwriters at Joe’s Pub tonight with Federico Aubele, Keren Ann, and the National-covering Dom La Nena. Winter Jazz Fest continues tonight with multiple shows in various NYC venues with sets from John Zorn, Marc Ribot’s Ceramic Dog, Darcy James Argue’s Secret Society, Slavic Soul Party, Erik Friedlander, Sylvie Courvoisier, Elliott Sharp, Mother Falcon, and many more. Full schedule here. It’s the third weekend of free (if you registered) creative workshops at Converse Rubber Tracks. Tonight’s has two members of The Dillinger Escape Plan teaching you how to record live instruments. Garagey soul act Love Supreme headline this party which has been dubbed the “New Year’s Eve Do-Over.” This time maybe not so many mezcal shots. As for the rest of the line-up, we like jittery new wave lovers Future Punx, especially. For all of tonight’s shows, and tomorrow’s, check out our full NYC show calendar.